Join me in volunteering to help at the HMEA incredABLE 5K. I'll be at the road race registration desk. There are lots of other volunteer spots open! NEW THIS YEAR - as a way to show our incredABLE volunteers how much we appreciate them, we will be giving each volunteer a book of 6 tickets to our Dream Raffle! 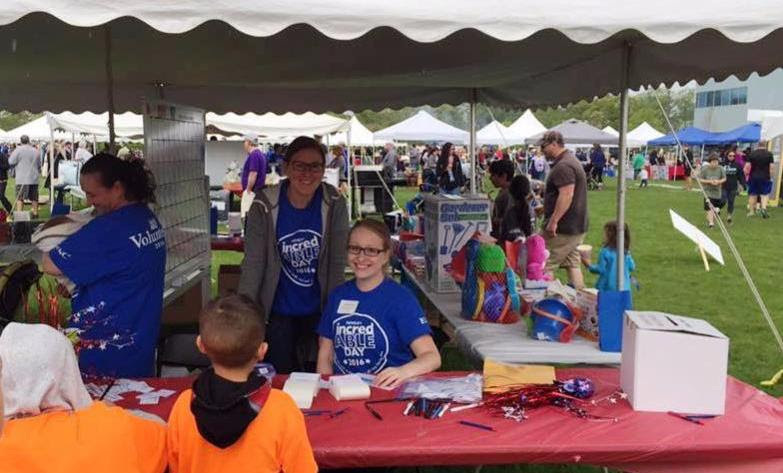 When you volunteer at HMEA's incredABLE 5k Walk, Run and All-Day Family Fun, you help to promote the values, dreams and potential of people with developmental disabilities. Any time you give is incredABLE! 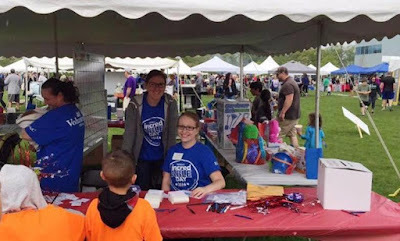 We need volunteers to run a booth, game or food station! Activities will include (but are not limited to) sports activities & games, cotton candy machine, popcorn machine, crafts, snow cones, face painting and pm shift includes clean-up. Help us feed our hungry attendees by assisting with the setup, take down and distribution of food to all participants. Food includes hamburgers, hot dogs, pizza, water, juice, chips & snacks. Great opportunity for a group to work together! Show your spirit and cheer along our walk route! Encourage our walkers and supporters as they complete their 5k walk route. This is a fun, high-energy position to keep the crowd moving and energized. This is a great volunteer opportunity for families and groups! and more volunteer positions available!